Maj-Lis Hellström, founder in 1978 of PIO, the Swedish organisation for patients with primary immunodeficiency, and an officer of the IPOPI board for eight years, has put together a collection of stories from 14 countries. 49 authors mainly patients and parents, but also doctors and nurses have contributed to this book. In reading the book you may recognise your own problems and situation if you are a patient or parent, but also, hopefully, find support, comfort and hope. As a student or a doctor you should find much to learn; how it feels being a PID patient or parent; their side of the story. You will also find good case studies for your practice. This book should be on the reading list for medical students and student nurses. 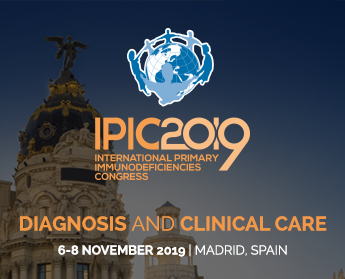 For people in general, this collection of experiences will be very useful and important in gaining some idea of primary immunodeficiency and its impact on affected families. It should lead to a better understanding and ability to help. The book will be distributed through t.he IPOPI member organisations. Others who are interested can require copies from info@ipopi.org. For multiple copies a contribution to postage costs may be asked. The book has been published in Sweden by Andersson & Strand Advertising Agency and Certus Printing firm Ltd, 1999. The printing of this book was made possible by the support of Baxter and Bayer. https://ipopi.org/wp-content/uploads/2017/07/sl4.jpg 73 80 IPOPI http://files.ipopi.org/wp-content/uploads/2017/06/LOGO.svg IPOPI2011-03-18 07:28:512017-07-05 07:31:22The Story of Primary Immunodeficiencies "Despite the challenges, the story is not one of despair"